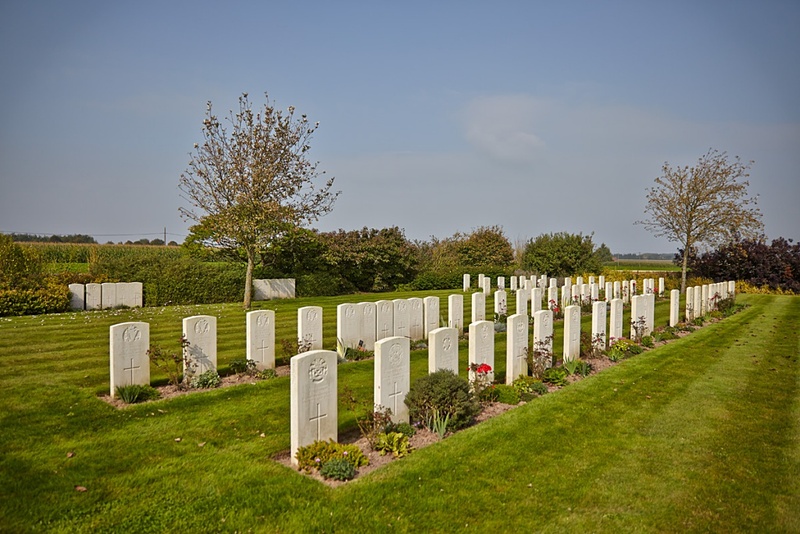 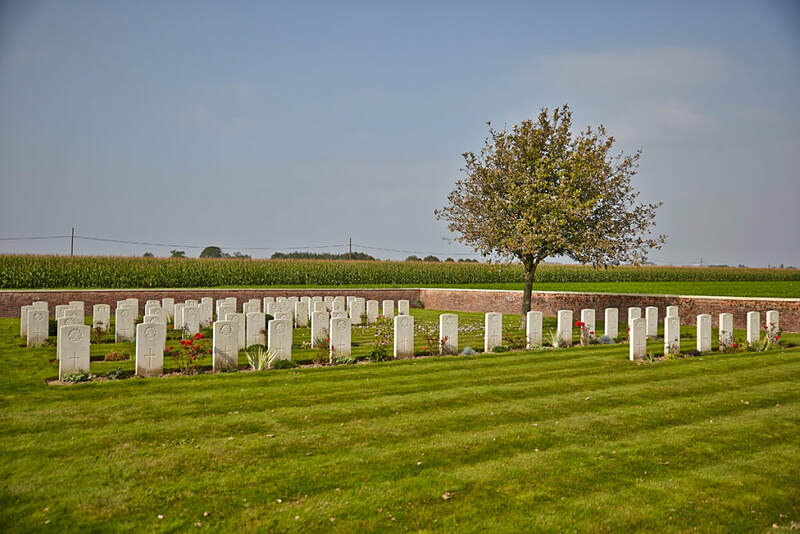 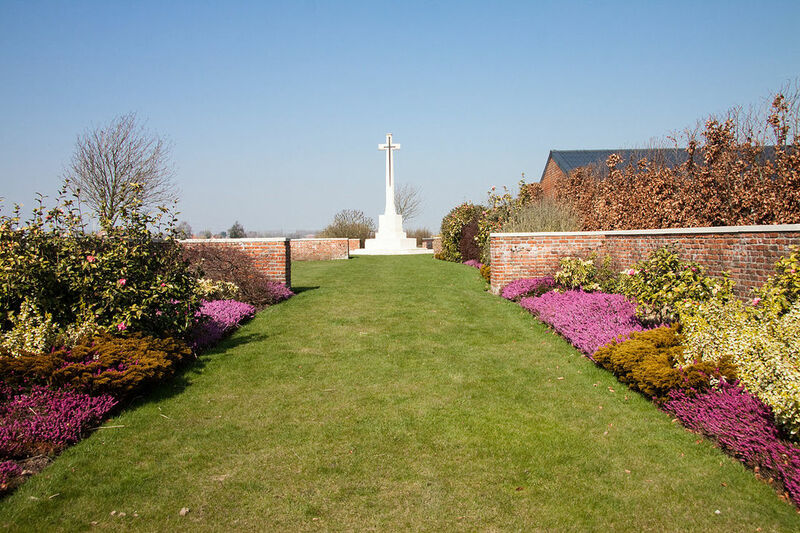 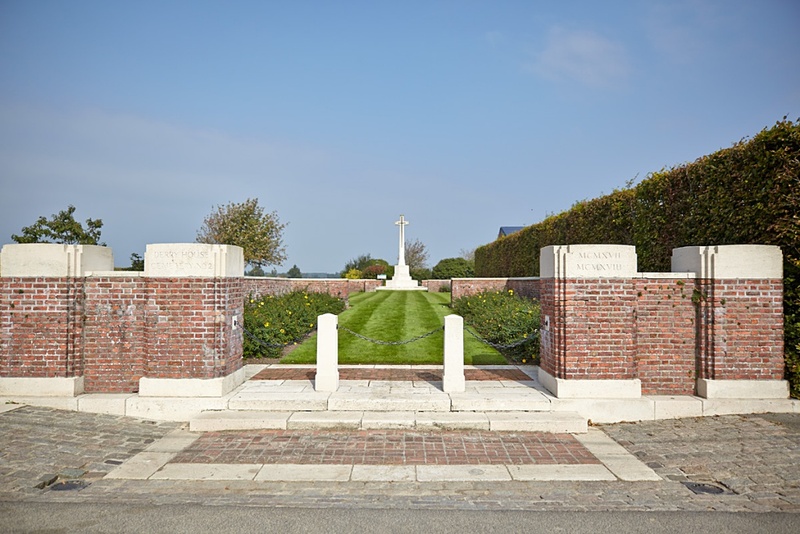 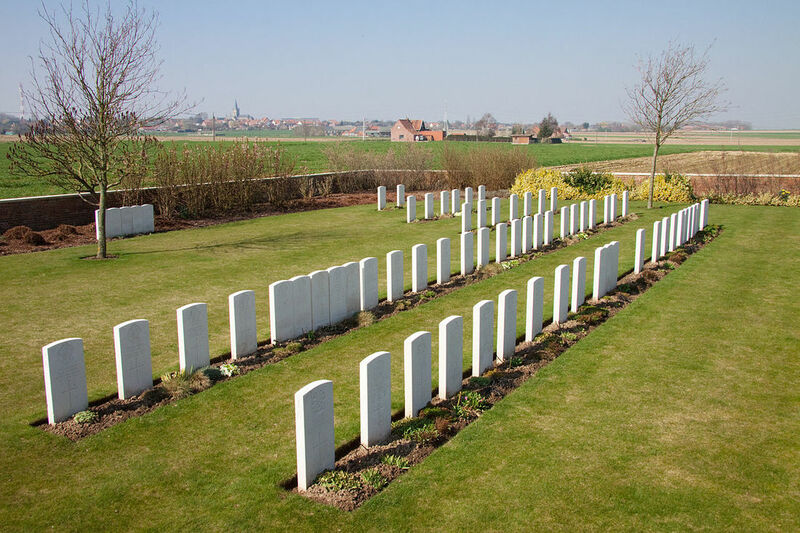 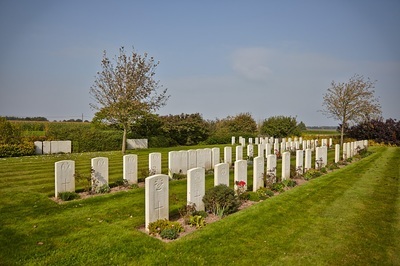 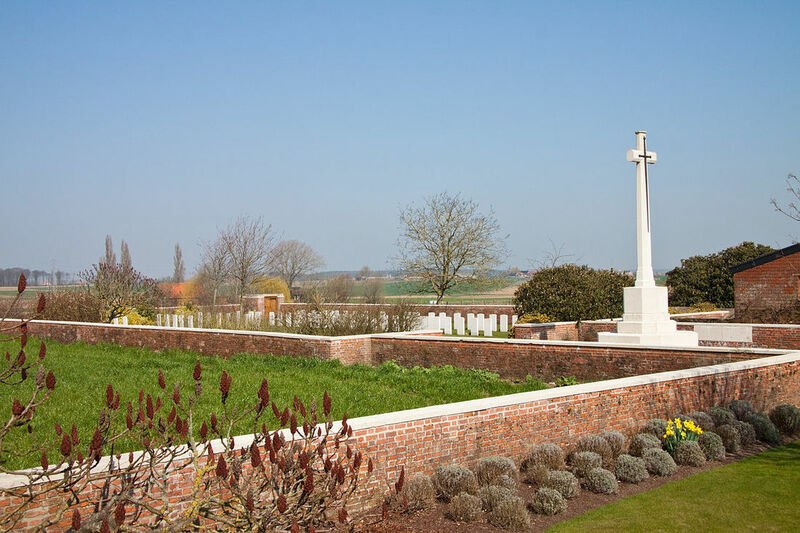 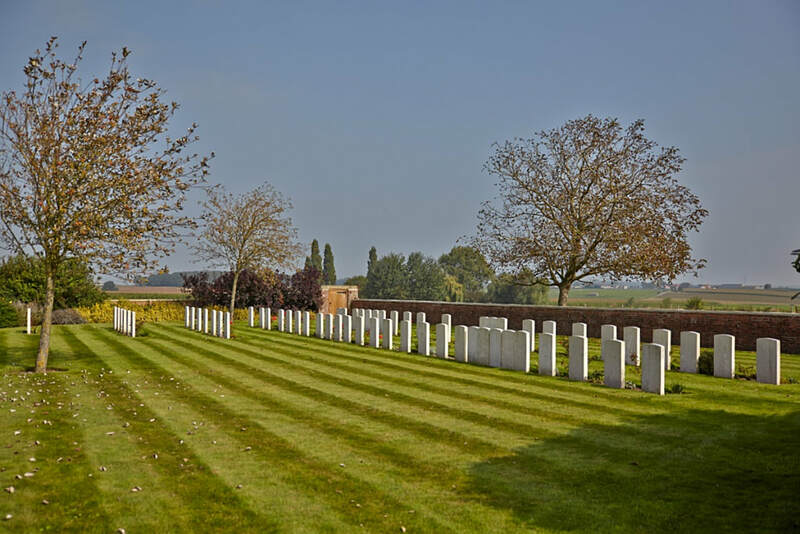 The cemetery is located 8 Km south of Ieper town centre, on a road leading from the Rijselseweg N365, which connects Ieper to Wijtschate and on to Armentieres. 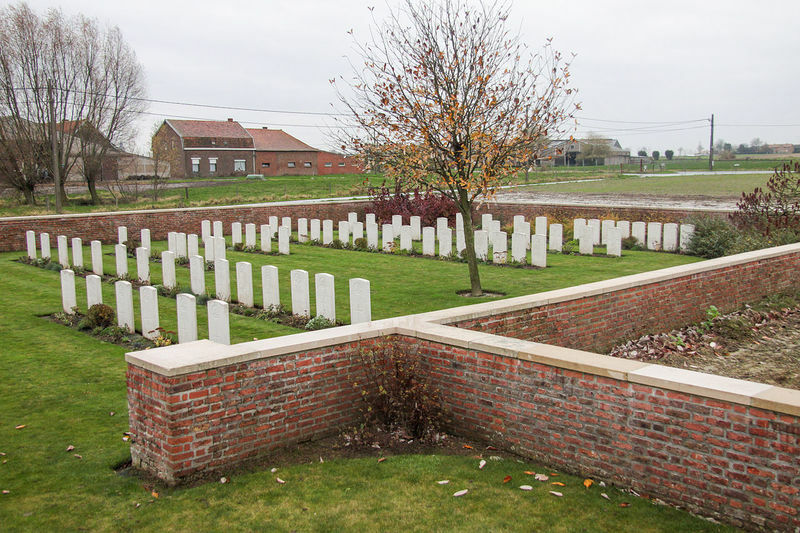 From Ieper town centre the Rijselsestraat runs from the market square, through the Lille Gate (Rijselpoort) and directly over the crossroads with the Ieper ring road. 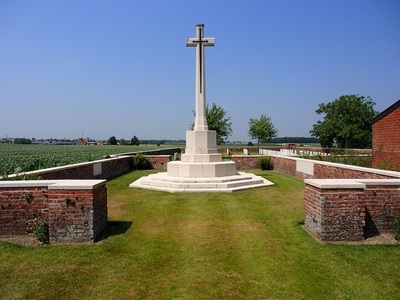 The road name then changes to the Rijselseweg. 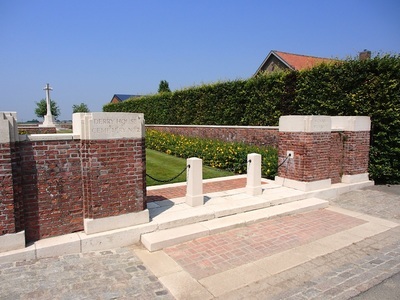 The cemetery is reached by turning left in the village of Wijtschate along the Houtemstraat. 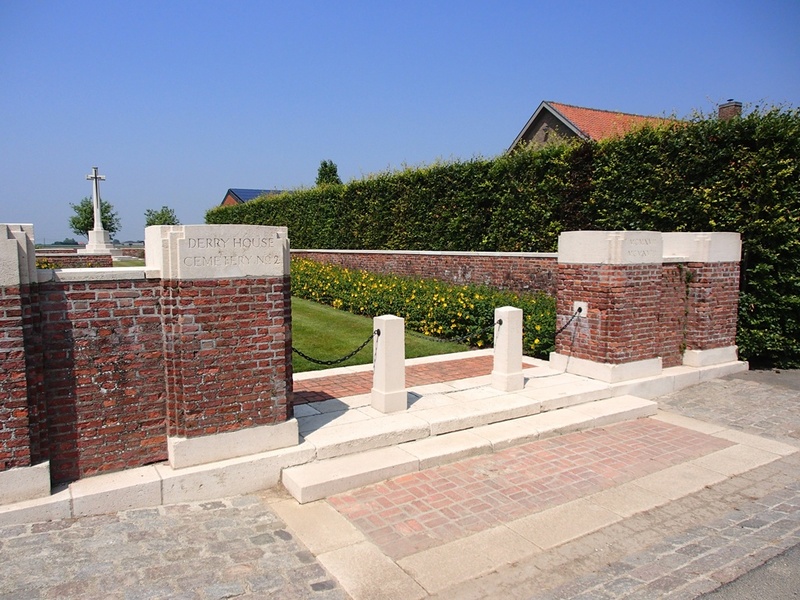 The first right hand turning along the Houtemstraat leads onto the Krommestraat. 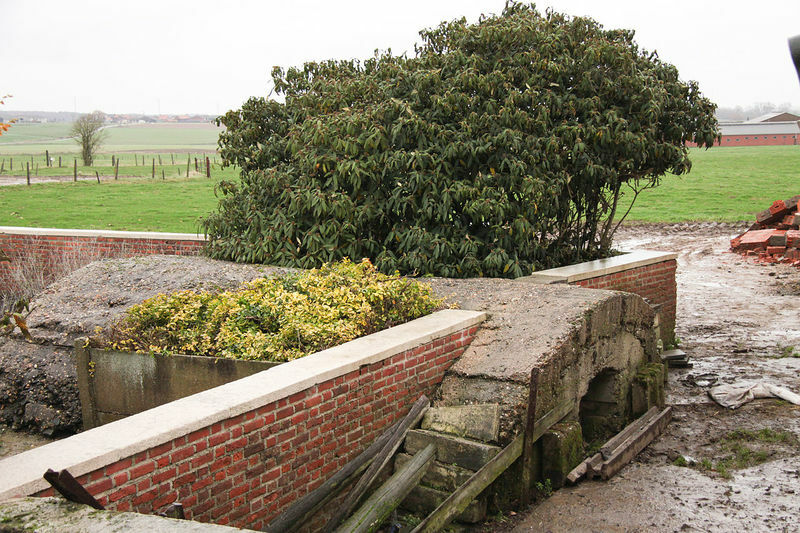 800 meters along the Krommestraat lies a turning to the left. 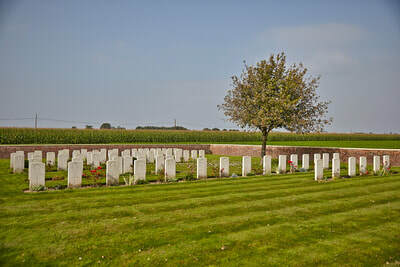 The cemetery itself is located 50 metres beyond this left hand turning. Wytschaete (now Wijtschate) was taken by the Germans early in November 1914. 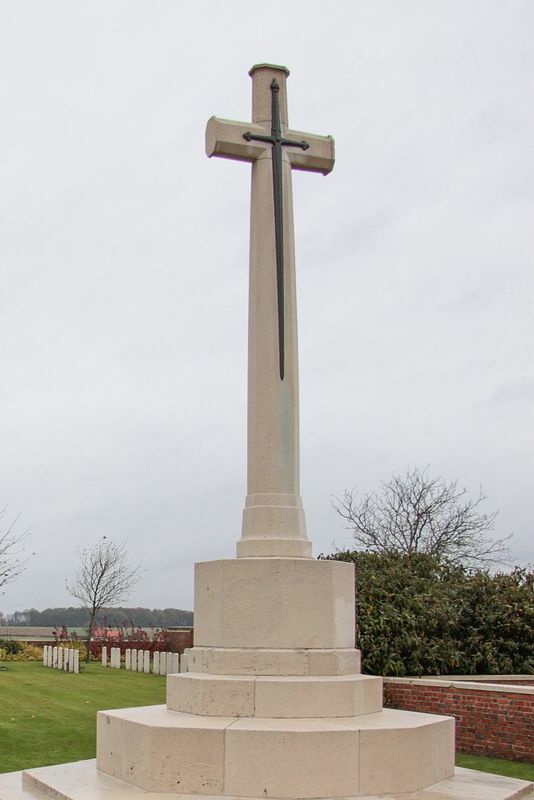 It was recovered by Commonwealth forces during the Battle of Messines on 7 June 1917, but fell into German hands once more on 16 April 1918. 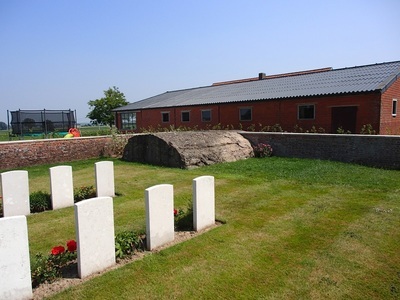 The village was recovered for the last time on 28 September. 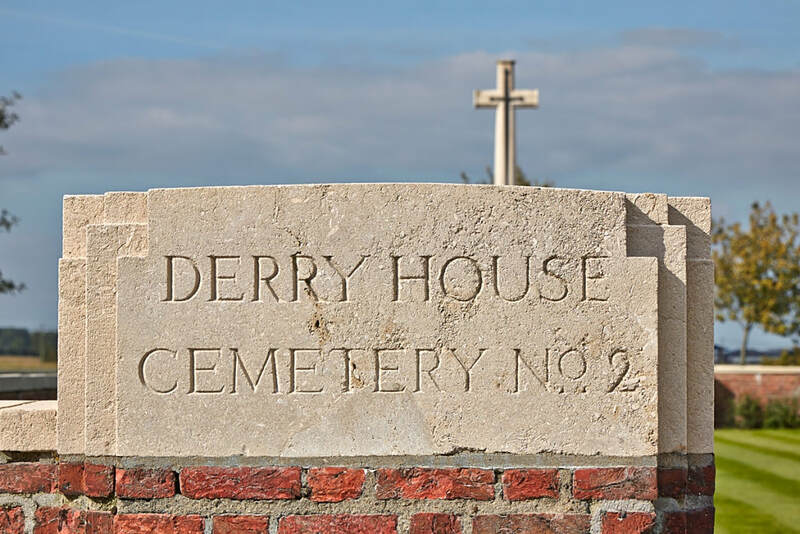 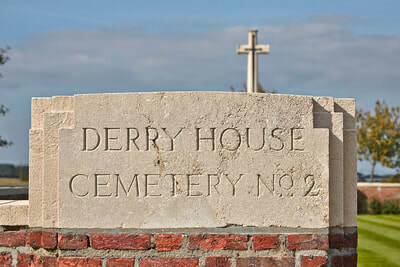 Derry House Cemetery (there is now only one) was named after a farm, which had been nicknamed "Derry House" by soldiers of the Royal Irish Rifles. 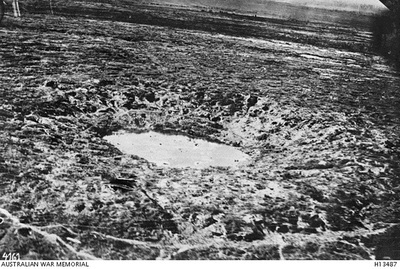 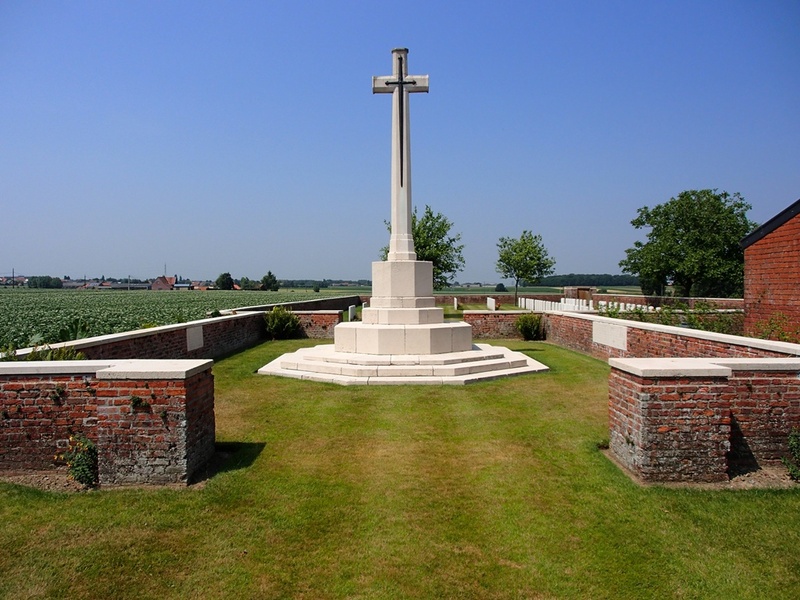 It was begun among the ruins of the farm in June 1917 by a field ambulance unit of the 11th Division (32nd Brigade). It was used as a front line cemetery until December 1917, and again in October 1918 by the 2nd London Scottish. 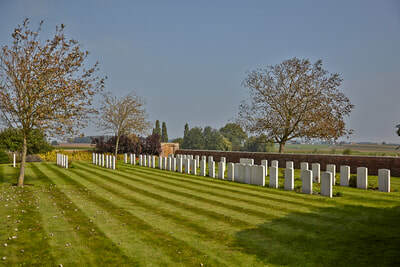 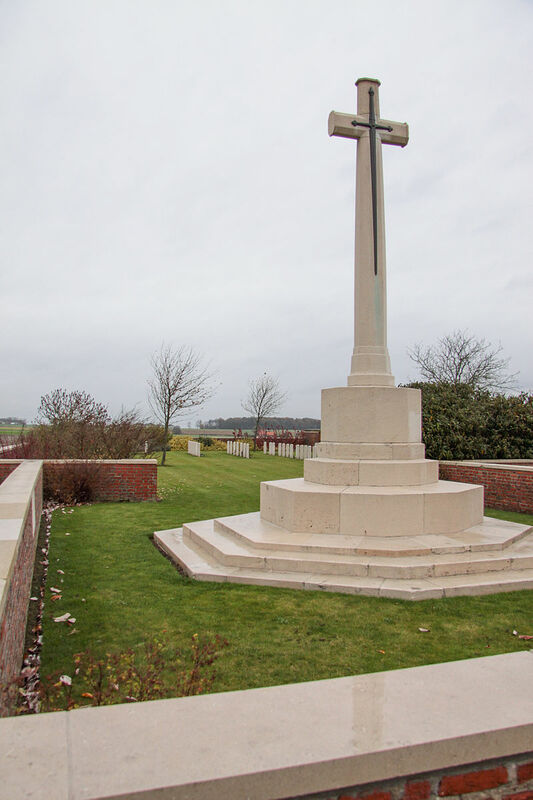 The cemetery contains 166 First World War burials and the remains of a concrete command post built by engineers of the 37th Division in July 1917. 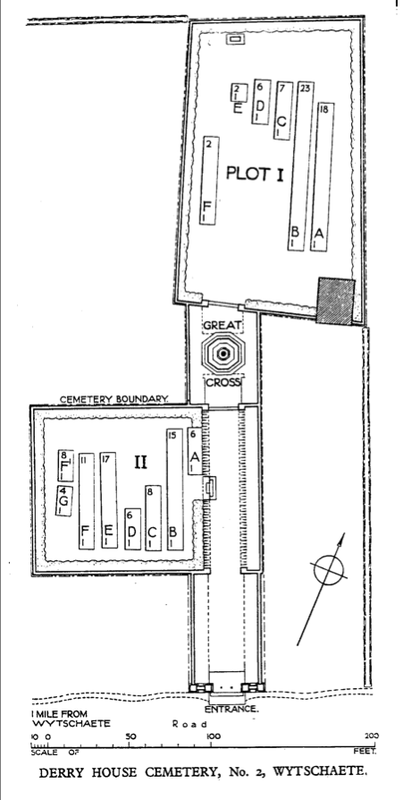 The cemetery was designed by W.H. 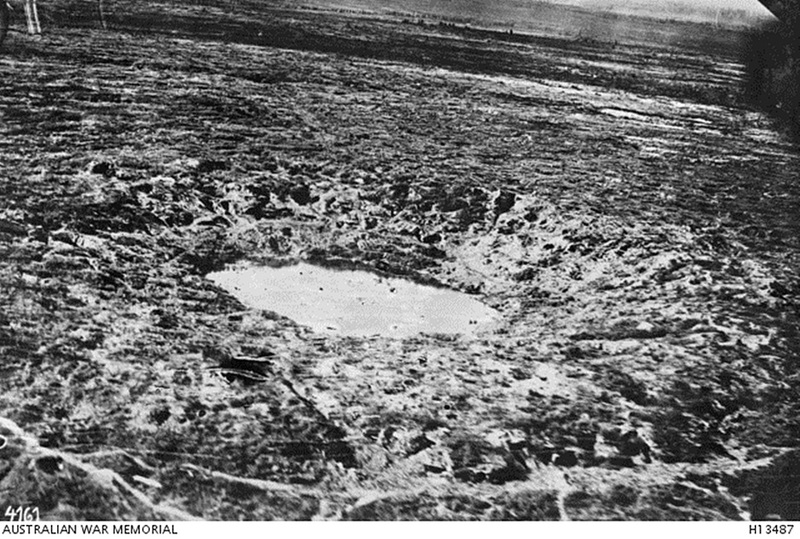 Cowlishaw. 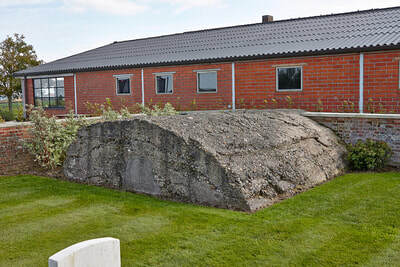 57th Bn. Australian Infantry, A. I. F.
12th December 1917, aged 20. 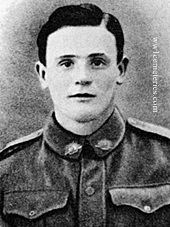 A labourer from Rochester, Victoria prior to enlistment, Pte Mancer embarked with the 16th Reinforcements from Melbourne on HMAT Suffolk on 1 April 1916. 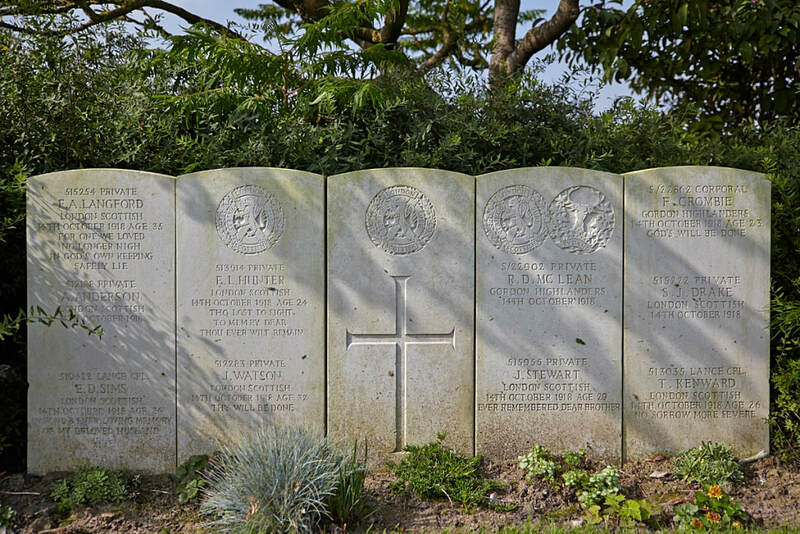 Later transferring to the 57th Battalion, he was evacuated to hospital suffering from trench feet. 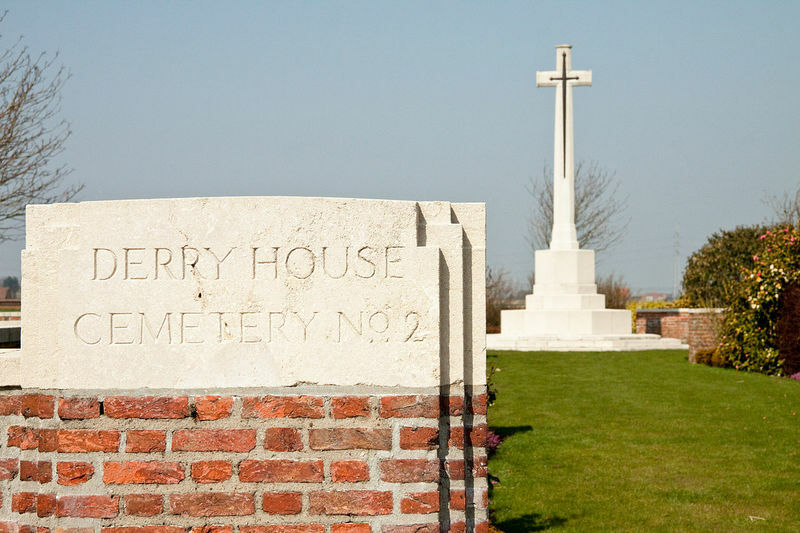 Following his recovery he rejoined his unit and, on 12 December 1917, aged 20, he was killed in action and buried in the Derry House No.2 Cemetery, Messines, Belgium. 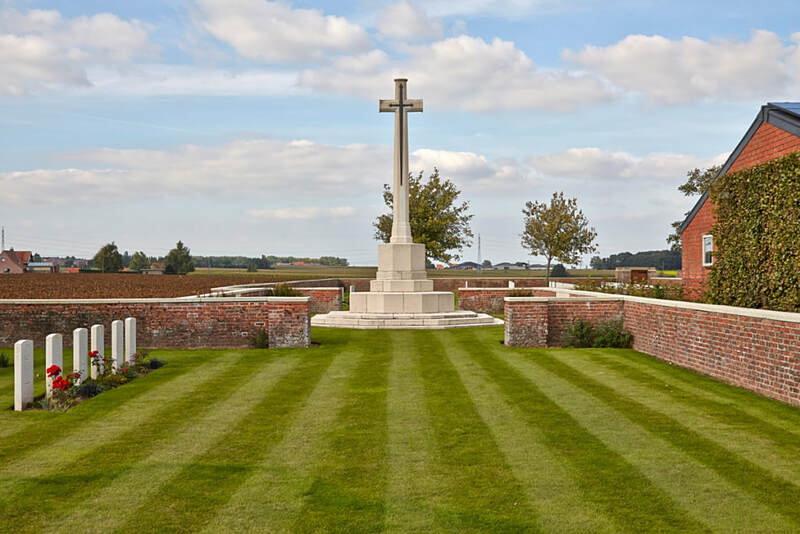 His brother, 2716 Pte Albert William Mancer, 60th Battalion, was killed in action on 12 May 1917 and is commemorated on the Villers-Bretonneux Memorial. 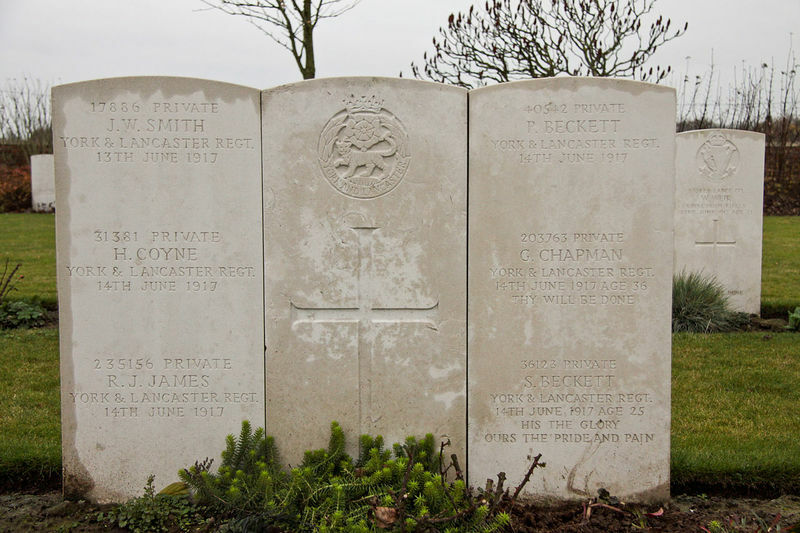 12th August 1917, aged 20. 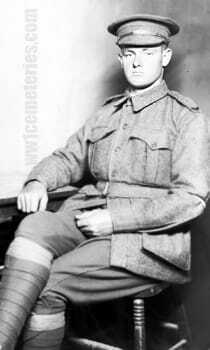 Son of Arthur Ernest and Florence Pope, of Townsville, Queensland. Native of Bristol, England. 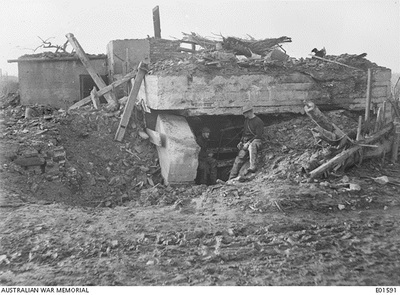 ​A bank clerk prior to enlisting, he embarked from Brisbane aboard HMAT Seang Bee (A48) on 21 October 1915. 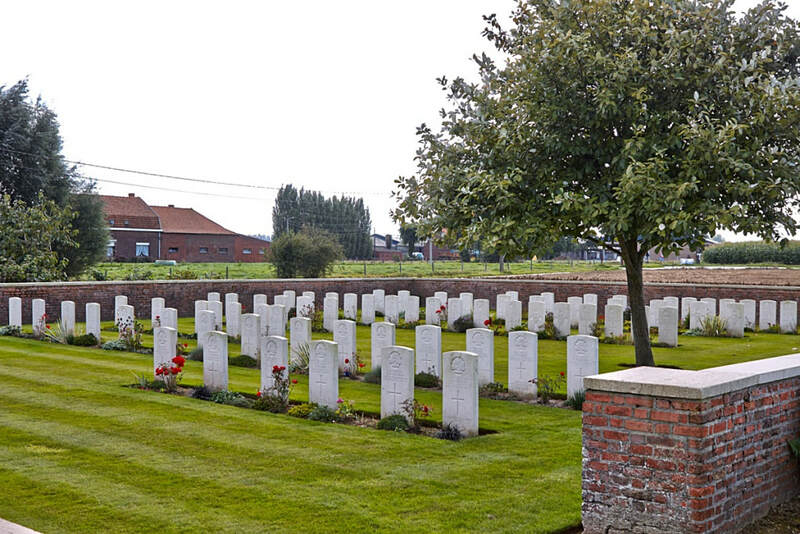 On 12 August 1917, aged 20, he was killed in action during a battle at Wytschaete-Messines, Belgium.